Designer and tech enthusiast otherwise known as Epic Queen. Her YouTube channel and non-profit organization of the same name is geared towards bringing more women and young girls into the tech industry. 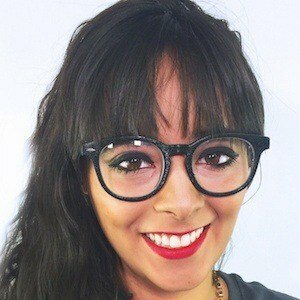 After earning a degree in animation and digital arts from Monterey Institute of Technology, she went on to work for companies like iTexico in UX and UI design. She co-founded Bloomer Tech, a company fusing health enhancing technology with clothing. She was born and raised in Mexico and was eventually known as one of the top 100 entrepreneurs from the nation. Both she and Kaiman Wong are prolific YouTube tech experts.